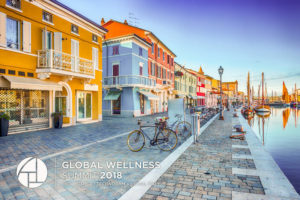 Miami, FL – July 25, 2018 – The Global Wellness Summit (GWS), the foremost gathering of international leaders in the $3.7 trillion global wellness economy, is being held for the first time in Italy this year, from October 6–8 at Technogym Village in Cesena. The Summit, expected to attract 650 executives and leaders from 50 countries, is renowned for its three days of keynotes and panels analyzing the largest future opportunities unfolding in the wellness economy, from spa to fitness to workplace wellness markets and more. 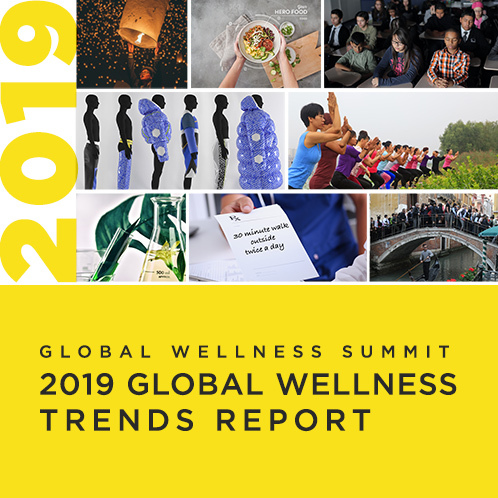 Today the GWS announced key topics and speakers that will explore the powerful impact that the wellness revolution will have on industries that are the lifeblood of Italy’s economy, such as fashion, design, food, beauty and tourism. Wellness experts from around the world—along with Italian business, medical and design leaders—will offer insights into wellness markets and trends that could help drive future Italian economic growth. The Summit is known for major research releases, and this year the much-anticipated update of the Global Wellness Institute’s Global Wellness Economy Monitor will be unveiled, providing all new data and trends for the 10 sectors that make up the wellness industry, along with in-depth regional analysis. And at a Summit press conference on October 6, researchers will present all-new data on Italian and European wellness markets. Italy is known as “Design Central,” and the ways that wellness concepts are remaking fashion, design and architecture will be a hot topic, explored in high-profile keynotes, such as those from famed Italian fashion designer Alberta Ferretti, award-winning Italian architects Antonio Citterio and Matteo Thun, and pioneering wellness designer Clodagh. Roundtables will investigate the future of wellness architecture and wellness and retail, and the conference will also host the first-ever Wellness Meets Fashion show, bringing wellness to the runway. Food and beverage play a starring role in the Italian economy, and “Made in Italy” food products have surged 79 percent in the last decade in part because of the country’s reputation for authentic food and healthy eating. The ways that wellness is disrupting the nutrition market will be addressed in keynotes by Andrea Illy, chairman of Italy’s coffee powerhouse, illycaffè; Mindy Grossman, president and CEO of global weight loss-turned-wellness brand, Weight Watchers; and Neil Grimmer founder of Habit, the world’s first personalized nutrition company. The future of the $542 billion fitness and mind-body sector will be a key topic, with keynotes from industry giants like Nerio Alessandri, founder of Italy-based Technogym, a world leader in fitness technologies. With a mounting global (and Italian) depression and anxiety epidemic, the need for new approaches in mental wellness will also be on the agenda, including a keynote from Bob Roth, CEO of the David Lynch Foundation and author of the new bestseller, Strength in Stillness: The Power of Transcendental Meditation. A white paper “Mental Wellness: Pathways, Evidence and Horizons” will also be released. Italy is a top player in the $1 trillion world beauty market, and the future of beauty—and the way wellness is reshaping the category—will be in the spotlight, with keynotes including new research from Dr. Anjan Chatterjee, chair of Neurology at Pennsylvania Hospital and author of The Aesthetic Brain and Dave McCaughan, chief strategy officer at Ai.Agency, who will speak on how artificial intelligence will dramatically impact both beauty and retail. Italy is a world leader in wellness tourism (ranking 9th at $12.7 billion annually), in spa (7th largest global market at $2.5 billion), and in thermal springs (ranked 5th at $1.7 billion in revenues). A range of keynotes and presenters will explore where the hospitality, wellness travel and spa markets are headed, including analysts from LS:N Global/The Future Laboratory UK; Dr. Nicola Angelo Fortunati, terme & spa general director, Italian Hospitality Collection; Sir Rocco Forte, founder of Rocco Forte Hotels; and Sue Harmsworth, founder of ESPA International, who will interview a panel of top experts representing the luxury spa hotel business in Italy including Aldo Melpignano, Borgo Egnazia; Alcide Leali, Lefay Resorts; Carmen Moretti de Rosa, L’Albereta, Espace; and Henri Chenot and Paolo Mancuso from Forte Village Resort. Wellness communities that put people’s health at the center of design are the next frontier in residential real estate and a fast-growing $134 billion market. Italy has much to teach the world about healthy communities, from establishing the first worldwide district of wellness and quality of life, Wellness Valley in Romagna, to Giovanni Pes, MD, the first to report on the extraordinary longevity of people living in Sardinia dubbed “Blue Zone,” who will share his pioneering work. Best-selling author Dan Buettner, known for discovering “Blue Zones” around the world, will also present on how these longevity zones are informing new wellness community development worldwide. The Global Wellness Summit is always a sold-out event. To apply to attend, click here.